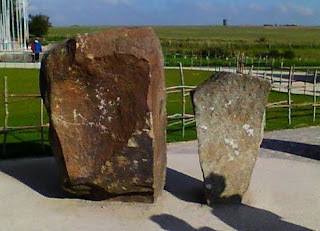 www.Sarsen.org: Are the Stonehenge Bluestones warmer than the Sarsen Stones? 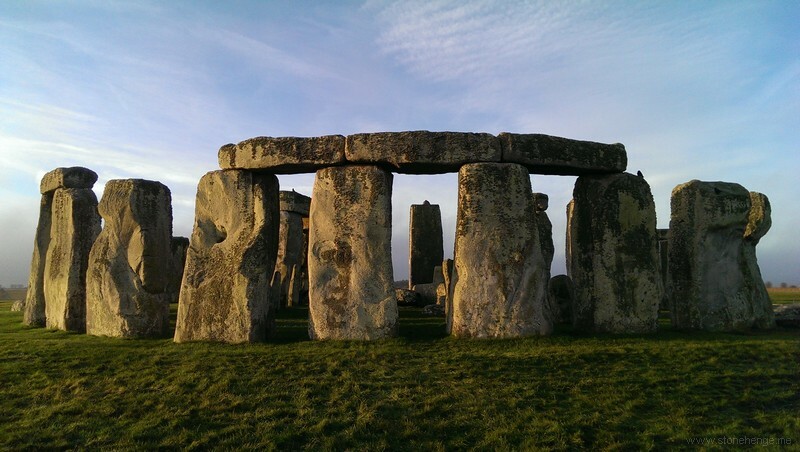 Are the Stonehenge Bluestones warmer than the Sarsen Stones? 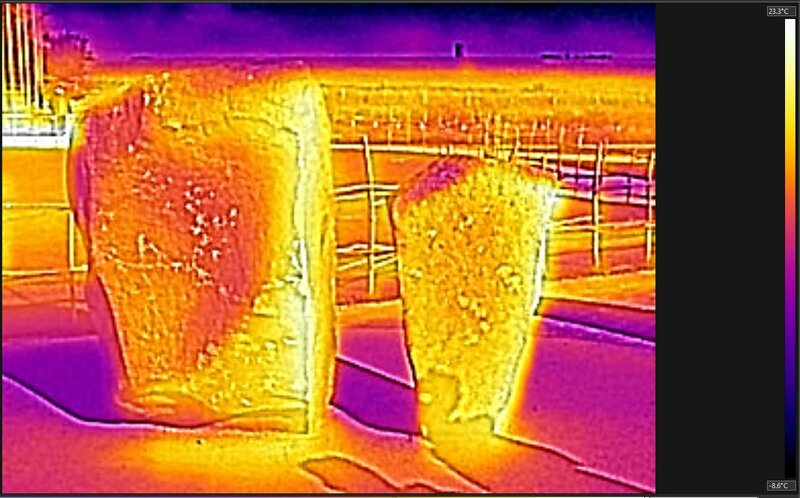 Sarsen and Bluestone at the New Visitor Centre near Stonehenge - Bluestone on right of photo and identical shot with a thermal camera showing temperature. Click to enlarge. 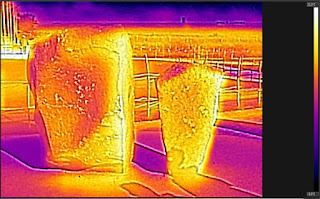 The zeroth law of thermodynamics states that they will be in equilibrium in a stable environment, but they have different thermal conductivity and capacity which means they will reach equilibrium with the air temperature at different rates and will feel a different temperature to the touch; just as wood and steel at the same temperature do. That's 'cool', as they say these days. Can you take a sequence of pictures on a sunny day, starting with morning frost on the stones and continuing till sunset? Once an hour would do. The Sarsen is darker than the Blue. It would be warmer.